This is a recent question that I came across. There can be a lot of confusion with people talking about authority sites being the way to go and that niche sites are no longer working. Some of this does come down to definition but there has also been changes over time as to what is involved. 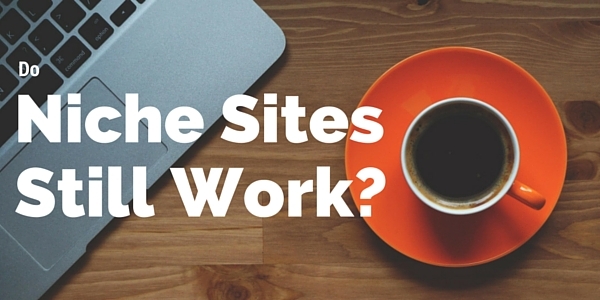 You can have an authority niche site, so the two aren’t mutually exclusive. This I think is the way things are moving more and more but it doesn’t stop you starting a niche site and building it out as you go and making money as you go too. When you look at a site like SmartPassiveIncome.com and where most of it income comes from it is more from being a broad site rather than a small niche site. There is some income (which I’d like myself) but the bulk of his income comes from recommending business and marketing products rather than from small niches. It does give you the impression that “niche” sites may no longer work especially as his later sites with all of Pat’s knowledge, money and experience seem to not doing as well as you’d expect from the success of the main site. But his is not the only example and here are couple from outside of make money that have grown from small niche sites to something much bigger. There is some good stuff on the site. DCRainMaker.com – is about being a triathlete, the site makes money from product reviews with links to Amazon for the most part. This is a great site for looking at to see where you can go with a small niche site that focuses on reviews to starrt with. MrMoneyMustache.com – niche is how to retire early – it makes money from recommending products in particular credit cards. These are no authority niche sites I think but they didn’t start that way obviously. To make a go of a niche site there is work to do. You can try and go this on your own or you can follow a course like Extreme Review (my review here). The process is simply: pick a niche, analyse the niche competition and viability, create a website, write content, promote your posts and monetize it. Probably add in a good mixture of hard work, time, patience and frustration – that is even when following a good course. Doing it on your own is probably going to take a lot longer and be even more frustrating. I’m still not where I want to be but there is now a regular income being earned by my 2 niche sites following the Extreme Review model. 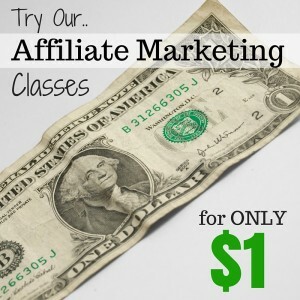 There are a number of different ways you can make money from a niche site. The method you choose to a certain extent depends on the niche you’ve selected and the topics you choose to write about. I’ve chosen to monetize my 2 sites by reviewing physical products and writing related products and having Amazon affiliate links in the content. But there are other ways you can do this with different types of niche sites – you could have links to other merchants including for digital products. You can also have adverts like adsense on your site. You could have your own products or services- digital or physical that you sell off the site. As well as direct from the site you could add people to your list and promote to that. You don’t have to do one or the other you can combine them any way you want. It is important before you make money to ensure you are providing quality information and it is easier to monetize a website successfully when people are looking to buy or want to solve a problem. Yes, niches do still work in 2016. You do have to work hard with adding quality content that is useful to customers. It is a big advantage if you like and know about your niche but you can learn as you go. Perseverance is needed and the right mindset to keep on working through the low points but it is possible to get to the place where you can earn a solid income. It takes time it is unlikely to happen overnight no matter what some of the so called gurus may right in their sales letters. A niche site is one of the best ways to get started as you can build on it over time especially if you are following a proven business model or course, learning as you go. You can do it in your spare time if you are prepared to give up something to make the time to build a profitable niche site. Over to you now, do you think niche sites still work?